What Makes a Suitable Instructor? It has been six years since I began practicing Ki-Aikido, and I am now a Shodan (1st degree black belt). I love to train with my teacher and friends in the dojo. I have been asked by my Sensei if I would like to become an instructor now? I really want to, but I cannot decide because I am not sure if I can. Could you please teach about what makes a suitable instructor? I know how you are feeling. Everything has a beginning, and sometimes when we begin something we feel uneasy. These days, I have the opportunity to teach all over the world, but I remember when I also was beginning to teach and I got very nervous. The most important thing in becoming an instructor is whether you feel happy for helping others or not. I would like to encourage anyone who feels pleasure from helping others to become an instructor. If you are not yet developed in the technique of teaching, this is not so important. You will have many opportunities to improve your teaching technique in the process of trying to improve your students. And of course you can also continue to study even after you become an instructor. On the other hand, what if someone teaches only because he or she wants to teach. In this case, their teaching motives are selfish, because it doesn’t matter to them if their students improve or not. Once this kind of person becomes an instructor, they only want to teach and always avoid studying. I would not want this kind of person to become an instructor. So which kind of person are you? If you are in the former category, you should not go forward and begin teaching right away. Please take the recommendation to teach from your instructor, and at the same time continue to practice from now on. There are many things that will come to you through the teaching of others. These are unavailable if you teach only for yourself. In Japan, if you become instructor, you can join the instructor seminars that are held once in a month at both the Tokyo main office and the Osaka main office of Ki Society. I will teach you personally at those seminars. Hello. I enjoy your weblog. I am a manager of a cram school for an elementary school and Junior high school students. I have about 30 members of staff, including part-time staff. Our school staff start the day with cleaning up. All staff clean up class rooms, entrance halls and the outside of our building. I am a manager, but I will do cleaning together with them. However, some teachers think that “My job is to improve student’s schoolwork, not cleaning.” And they do cleaning unwillingly. From my experience, teachers who do not clean up willingly are not trusted by students and their parents. Also, their teaching is not good well received among students and their parents. It might be general trend, but I have mixed emotions toward this. What do you think about staff cleaning up our place. From a long time ago, it is said that to clean up your own place means clean up your own mind. I think cleaning up is very important in the education and development of human resources. The problem is if your staff who do clean up, understand its purpose correctly or not. There'll always be teachers who think that the manager makes us do cleaning for cost reductions. If a manager does only cleaning, this is problem. Also, it is certainly true if technical staff do only cleaning, it is not efficient. However, you have a clear purpose to do cleaning with all staff. I define one of the purposes of cleaning as “to improve realization ability.” If you clean up with sending Ki, you will be able to realize many things which you do not realize usually. Besides cleaning, they help to improve realization such as lining up shoes both yours and others, turn off the light if you do not need it, lock up and check to put out the fire before leaving etc. Teachers should realize many things such as if the students’ chair is unstable, something is bothering the students, information on the billboard is old, by doing a clean up. If teachers train to realize such a minutia, I think teachers will realize small differences in the students immediately. I would like to suggest that all staff decide where to clean up, then write what they realized through cleaning. If staff who realized a lot are commended for their outstanding achievement in realization, it will be encouragement for all staff. There is not only one purpose when cleaning up. The important thing is to clear up the purpose of cleaning and all staff use mind and clean up. I hope this answer helps you. Thank you very much. I am a member of Ki-society. I always enjoy your mail magazine. I want to ask you about my dreams. I often have bad dreams at night. Sometimes I have a nightmare and my wife wakes me up. I do not think I have that many negative things in my daily life, but.....? Would you please give me any good advice of how I could manage this? Thank you very much for reading my mail magazine. One’s dreams have a strong relationship with the subconscious mind. When you are awake, your conscious mind works more and when you are asleep, your subconscious mind, which you are not aware of much in your daily life, works more. Koichi Tohei sensei always tells us, “The subconscious mind acts as a storehouse of knowledge and past experiences. The materials stored in the subconscious mind form the conscious mind.” You see, the subconscious mind acts as a storehouse and whether you notice or not, all the negative images accumulate in your subconscious mind. At night, they come out to your dreams. There are two answers for you. The first one is to be positive before you go to bed. During the day time, you have both positive and negative experiences. At night you can take a shower and wash your body, but do not forget, your mind also needs to be washed every night. The easiest way for anyone to become positive is to do “Ki Breathing Exercise”. Do this right before you fall a sleep, and that could be the best way for you. The second one is to keep your subconscious mind positive. Do everything positively. Remember, your tiny negative act can be stored in your subconscious mind. Maybe each one of your negative acts seems tiny, however once they accumulate, they could be very harmful. Use positive words, and be positive all the time, and your subconscious mind can be kept always positive. I used to have a horrible dream sometimes. 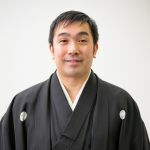 However, after I learned how to change my subconscious mind from Koichi Tohei Sensei, I hardly have any nightmares; or I can even know that I am a little negative, when I have bad dreams sometimes. You can guess whether you are positive or negative by your dreams. Let’s start “Ki Breathing Exercise” together! If you do not know how to do it, please come to our seminars. I am looking forward to hearing from you, the nice positive news, again soon. I am a mother who has a daughter in elementary school. I always enjoy reading your weblog with my child, who is learning Aikido. I started reading your articles for her at the beginning, but now I know I am the one who really needs it. After reading, I have got a question about the words, “Oneness of mind and body” and “Ki is extending”. I think I know the meaning of them, but I cannot really explain what they mean and the differences between them. I want to explain them to my daughter, and so would you please teach me on your site? It would be really kind, if you would make glossaries of your words for beginners like me someday. Thank you for reading my weblog. You know, “Oneness of mind and body” and “Ki is extending” mean the same thing. “Oneness of mind and body” shows that the mind and the body are one. However we know they are originally one, but we tend to use them separately in our daily life. For example, when we go out, we sometimes cannot remember whether we have locked the door or not. If we use our mind and lock the door, we can be so sure that we have locked it. If we think of something else and lock the door, we cannot picture the scene in our memory. “Oneness of mind and body” is the state in which we use our mind clearly and move our body. On the other hand, when we do not use our mind clearly, and just move our body, our mind and body are separated. Now you know that it is very important to use your mind positively. Koichi Tohei sensei defines that the state you use your mind positively is same as “Ki is extending”. Do not be fuzzy, and be clear. This is my answer for you. Hope this helps. I will try making glossaries with my writing. Please give me some time. !(^^)! 01-Regular Topics 02-Other Topics 03-Teaching 04-Questions & Answers 05-Information Book-"Ki Breathing"